If you're frustrated because it's easier to buy a new phone, computer or appliance than it is to repair your old one, you're not alone. 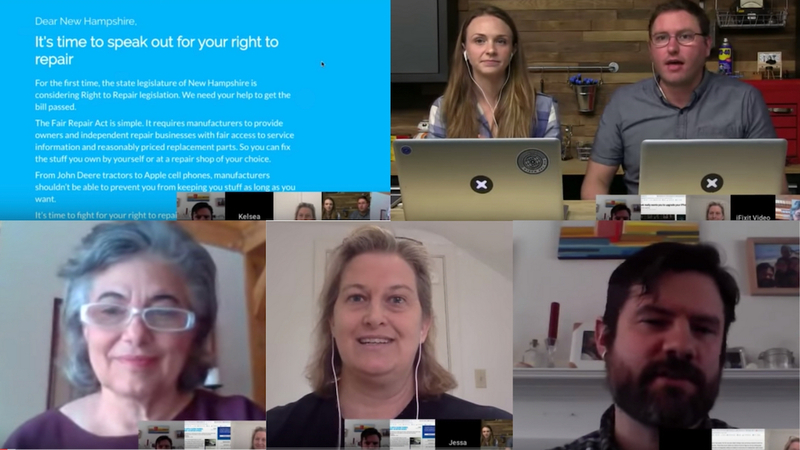 On Jan. 31, thousands of people tuned in as U.S. PIRG's Nathan Proctor joined our allies at iFixit to host the first of many YouTube town hall videos to help viewers advocate for the Right to Repair in their states. Lawmakers in 18 states, including Illinois, Massachusetts, New Hampshire, New Jersey, Oregon and Washington, to name a few, have introduced Right to Repair legislation. MontPIRG and our national network are calling for passage of the bills and encouraging lawmakers in other states to introduce similar bills. Read Nathan's blog and find the YouTube link here.